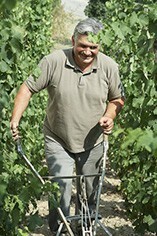 Pierre Gaillard is one of the most respected vignerons in the Northern Rhône. 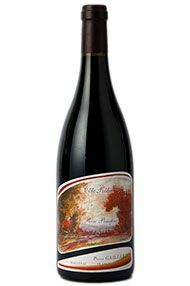 He had worked previously for both Vidal-Fleury and Etienne Guigal before starting out on his own and then received great reviews when he first started producing in the mid-eighties, his first vintage being 1987. From the precipitous Medieval village of Malleval, Pierre surveys his fine granitic vineyards of St. Joseph, Condrieu and Côte Rôtie with experienced eyes. He produces around 18,000 bottles of red St. Joseph each year from just under 40 hectares. He is particularly skilful in using oak to coax luxuriant and extremely seductive flavours, but flavours that never lose sight of the individuality of their originating terroirs. His St Jospeh Blanc is unusual in that it is entirely made from Roussanne, its more usual partner, Marsanne, eschewed in a successful quest for aromatic harmomy. The wines spend six months in 10-20% new oak prior to bottling, adding weight and richness to the final wine. Pierre had always been fascinated by the beauty of the Banyuls countryside and by the huge potential of the terroir. In 2002, he purchased the old estate of Pagès and went into partnership with a former member of the local co-operative Jean Baills and his son Matthieu. Jean and Matthieu not only brought their wide knowledge of the terroir, the local weather and the history of the cru but also about 15 hectares of vineyard containing mostly old Grenache and Carignan vines, as well as plantings of Mourvèdre, Syrah, Vermentino and others. All these have been added to the original seven hectares of the Domaine Pagès, and new plantings have been under way since 2003. 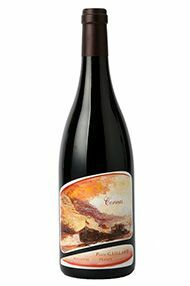 The Magenca is a red Collioure blend of Grenache, Mourvèdre, Syrah and Carignan which has spent 15 months in barrel, 30% of which was new oak. Pierre’s purple rose comes not from Cairo, rather from the fruits of old vines on the Côte Brune in the Rozier enclave, which is located behind La Landonne, just to the north of the town of Ampuis. Deep of colour, almost episcopal, appropriately enough, the wine is reserved and restrained at the moment, especially on the nose. In the mouth, however, sheer ripeness and concentration take the lead, held in check only by the firm, stentorian tannins at the back. Drink 2022-2028. The natural amphitheatre of this vineyard covers 0.8 hectares and is located exclusively in the Rozier enclave (Côte Brune). Here, its south-facing aspect, stony terroir and unusually warm microclimate engender musts which require longer ageing than some and which are well suited to 100 percent new wood for 18-19 months. The wine is a dark-fruit vin de garde, its velvety enrobing tannins recalling cassis and wild raspberry, its smoky, teasing personality promising a long and satisfactory evolution for two decades or more. Drink 2022-2028. The grapes come from several vineyards in the southern part of the appellation. 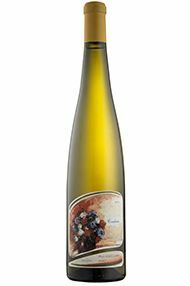 There is a richness of tangerine, peach and honey that drives through the core of the wine, but it is still very light on its feet. 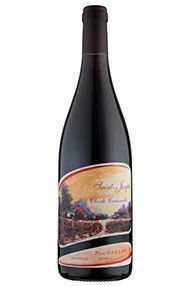 It has a very attractive floral lift and vibrancy, despite the warmth of the vintage. Drink now to 2025. Old vines inherited from Marcel Juge and located on the mid-Coteaux above the village. Impressive ripe tannins with an authoritative mid-palate, dominated by mature cassis, crushed rock and an almost balsamic texture. The Medieval village of Malleval, perched high above the serpentine Rhône, provides a suitably lofty homestead for Pierre Gaillard, one of the most influential and highly respected vignerons in the valley. His legacy seems to be in good hands, if our tasting with his daughter Jeanne and son Pierre-Antoine is anything to go by. This was a fascinating (and lengthy!) barrel tasting, rehearsing the minutiae of differences between parcels and underlining the sheer quality of the vintage. The three hectare Cuminaille plot was the first to be cultivated by Pierre after leaving Guigal. He identified the merits of these granitic sandy slopes and has been proving the point ever since with an outstanding wine which is aged for 18 months in French barrel of which 40% is new. The result is for me an archetype of St Joseph, finely structured, with great freshness, ripe dark fruit and generous pepper and spice on the finish.